Straight out of the box this RC car is very competitive while the fully adjustable suspension lets you fine tune to the track specs. Mash the throttle and the new Vertex .18 screams into life with a massive 12% more power and a 9% lighter chassis, this new model is seriously competitive. This latest RC Car has an even lower centre of gravity and coupled to the 4 wheel drive and Ultra Low profile tires this takes the saying of "handles like its on rails" to a whole new benchmark. The new 2.4G Radio means longer range, no crystals, no external interference and no interference from other cars. The intelligent digital radio automatically switches between different channels so you will never have a car on the same channel. Not to mention no long aerials to snap on the RC car or Controller. The RC car comes fully assembled from the factory including the latest 2 Channel 2.4G Pistol Grip Radio.. 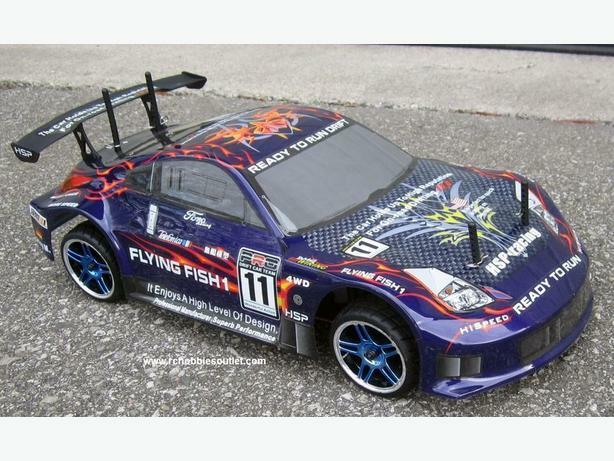 This RC car comes with a 12 month warranty against any manufacturer defects. Fast , low cost shipping to your area is available .